Digital Subscriptions > GCN > 344 > Win a seven-night Mediterranean Cruise! 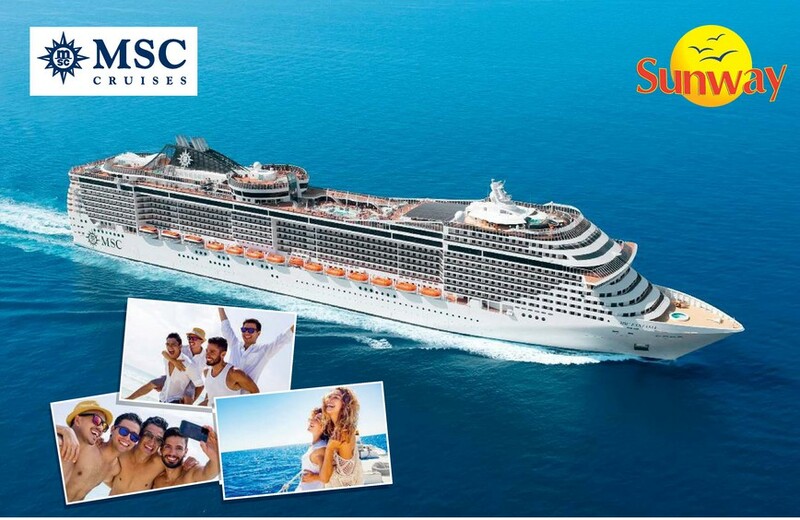 Sunway holidays have teamed up with GCN to of er one lucky winner the chance to win a fabulous seven night Mediterranean cruise for two. The lucky pair will be f own to sunny Barcelona and pampered from the moment they step aboard the magnif cent ship. Feeling peckish? Start the day with an expresso bar laden with freshly-baked pastries. In the evenings, there’ll be a mouth-watering range of fine dining experiences to choose from. For those looking to relax tired bodies and minds, lounge on the luxurious sun deck, or better yet, indulge yourself at the Aurea Spa which boats a variety of pampering treatments including a hot stone massage, Turkish baths and special couples treatments. For the more active reveller, take the plunge and stay refreshed at the Aqua Pool Complex, or get a full work out in the state of the art gym before taking a lap of the running track, fee applies.